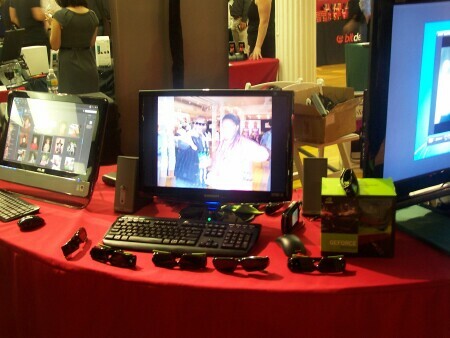 Hey folks, Valkor taking you inside once again into the world of Pepcom; this time it’s their Holiday Showcase in NYC. The last event featured a small amount of vendors, but definitely quality stuff. This time around we not only get quality, we get quantity as well, as you will soon see. Read on. Asus – This is one of those companies that out of the box, surprises you with high quality products all at a price you can afford. And surprised I was as I checked out the beautiful MS246H monitor; crisp HD picture, super clarity… for 229??? I’m not kidding. It does full 1080p HD at 1920x1080 with a contrast ratio of 50,000:1. On top of that, it’s ultra thin! Yea I wanna know what the catch is too. 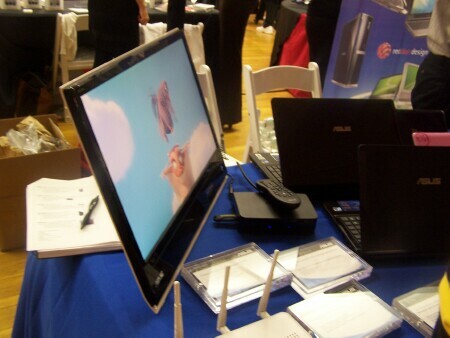 Just messin, but on top of that, Asus had on hand a few netbooks; a couple that are aimed at the youngins called the “Disney Netpals”: pink for girls and a nice blue for boys. Finally we have the O!Play HDP-R1, a device used to play media from removable devices such as the Val-Cave’s 1 terabyte drive (Thank you JayDub for that wonderful piece of tech). So far, yea I’m impressed. NVIDIA – We’re about to be literally consumed by 3D technology in the coming months and thanks to the folks at NVIDIA (among other companies), we’ll be more than ready to handle and embrace the technology. First off the company showed off some serious 3D glasses with 3D Vision; no cardboard here, but you get a pair that has the tech built right in. And to show off the tech, we got to see a demo of Resident Evil 5, which looked insane in 3D. Just the separation of backdrops to the characters and the depth of field make it look as though you could walk into the game… or the monsters can reach out and grab you. Nice! Also there was a 3D camera on hand, that I didn’t get too much detail on it, but is pretty solid when it comes to taking 3D images. 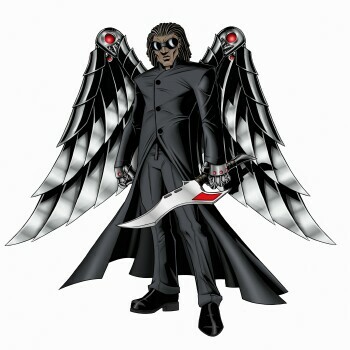 You can get an idea from the background image (yes that’s yours truly), but you have to see it IN 3D to believe it. Finally NVIDIA was showing off some video upscaling in HP’s mini 311 notebooks. Initially from the Swordfish video they had displaying, you can see the obvious difference. However they couldn’t get any other demo running at the time and I wish I could have stuck around, but there were too many companies I had to check out and little time to do it. Boston Acoustics – We cover quite a lot of audio products around TOV, so I’d like to think I have a good ear when it comes to audio. Boston Acoustics have a couple of speakers that, given the area we were in, sound amazing. First up is the i-DS plus iPod/iPhone speaker system with wireless subwoofer. Sounds that came out of the system were rich and the bass was just right; not too thick yet not too light. 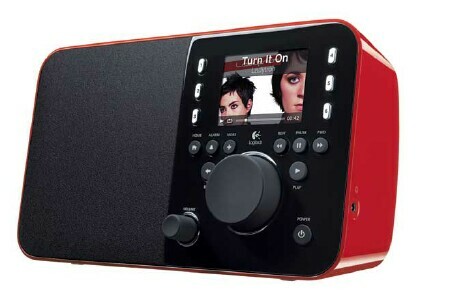 Second is the Duo-I AM/FM Stereo radio with iPod/iPhone dock. It’s heavy, you get a radio, you get a clock radio, but you also get great sound. Usually a one piece system never sounds hot, but this radio decent sound, plus bass so it’s like a nice 2.1 system crammed into one box. 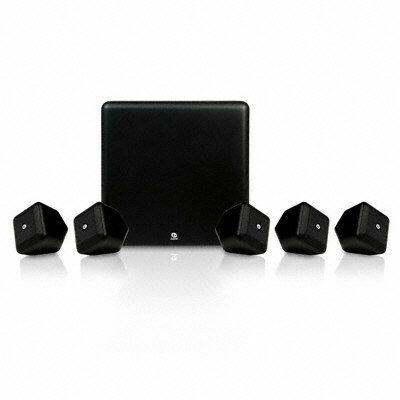 Finally, only seen but not heard is the SoundWare XS 5.1 surround Sound Home theater system. And that’s pretty much all I can say about that, since it wasn’t hooked up. But it did look good. Logitech – TOV reviewed two products from the last Pepcom (The Webcam Pro 9000 and the V220 wireless mouse), now they’re about to put the squeeze on you with the Squeezebox Radio Wi-fi music player. You can listen to all your favorite online music stations through a wi-fi connection without having to stay plug into your computer. Listen to your iTunes, Napster, or Pandora. Or you can even stream your music to the device, which has a full color screen so you can also get album art and track info all in the clear. This bad boy should be out now and should make for a cool gift this holiday season. Sony – Tamagotchi look out, there’s a new pet in town and he plans to take over PS3 gaming systems this holiday season called “The Eyepet”. In conjunction with the Eyetoy, you basically point the camera at a table or flat surface and watch the fun pop up! The little guy (or gal) will walk, run, and jump, interact with objects or even your hand as you reach down to pet it. Also there is a magic card that performs other functions. The demo I got to see, the rep gave the creature a bath and blow dry by holding the card towards the camera. I also got to see the creature get a new style and new clothes; funny, funny stuff. Look for Eyepet to pop out of screens this holiday. I have to go video with this one; no picture can fully embrace what this game can do. General Imaging – I had the chance to meet the reps of General Imaging last Pepcom, so it was nice to stop by to see what’s new. I briefly touched on the J-series last event, which is the showcase of this event. 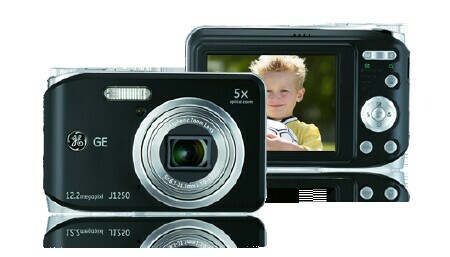 The J-series (specifically the J-1250) cameras come packed with features such as face, blink, smile, and scene detection, image stabilization and Pan-Camera Panorama, which will allow you to take a panoramic shot by piece three or more shots together and the computer will assist in getting the perfect wide shot. Also on hand was the G3WP, which is everything the J1250 is, but with one addition: it’s waterproof and submersible up to 10 feet. (But don’t go dippin your cam in an pools). 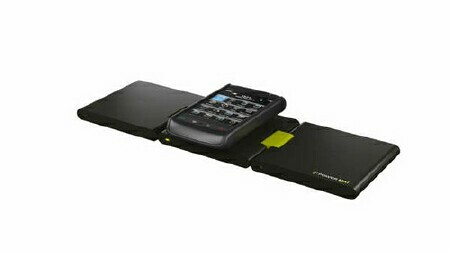 Powermat – I missed these guys during CES, so it was great running into them at Pepcom. The Powermat is wireless charging technology. By placing a small receiver onto your iPod, iPhone, Blackberry, or even a laptop, you need then only place the device onto the mat to charge. You can also charge multiple devices, so you’ll save money without having multiple devices plugged in. On hand were a couple of Mats; the Home and Office and the Portable Mat, which is really very portable; just fold it up and take it with you wherever you go. 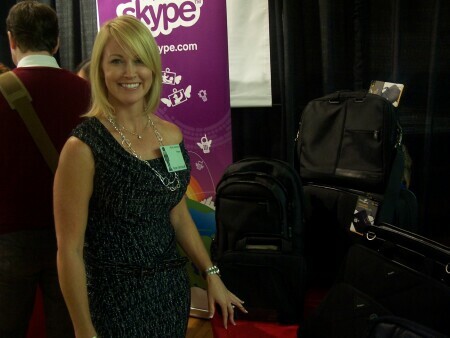 Targus – We’ve previewed them in TechGear and we worked over “The Grove” now Targus looks to shake things up with “The Crave” collection, which is a series of bags and laptop folders all with a puffy packaging like a ski jacket. Also on hand was the Hughes Laptop slipcase, which is made of the kind of leather you wanna roll around on. It’s just so soft… yet masculine for us manly types…. You know… But put me down for the Commuter Collection, made for the guy on the go made with water resistant leather, shock absorbing foam and reinforced luggage strap. Nice! Look for more Targus in TOV’s TechGear in the near future. 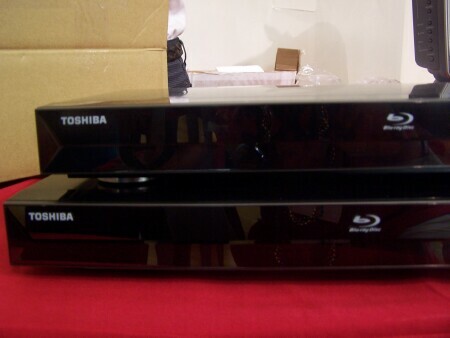 Toshiba – Last but certainly not least is Toshiba! And I don’t know how I missed this one, but I’ll be damn they’re making Blu Ray players now; the BDX 2000! This is great news and it looks to be a damn good looking player packed with all the necessities needed to survive in the Blu world. The BDX2000 will be available this Nov at a suggested price of 249, not bad and definitely a good pick up for anyone who hasn’t made the HD plunge. There were many more companies on hand and I wish I had the time to speak with all them, but let’s save that for either CES Unveiled or the big CES show in January. I wanna thank the folks at Pepcom for inviting TOV out once more to attend such a wonderful event and I look forward to many more shows in the future. Until then stay tuned to TOV as we’ll be following up with many of these companies for full blown reviews of their products.